Heard it through the grapevine? 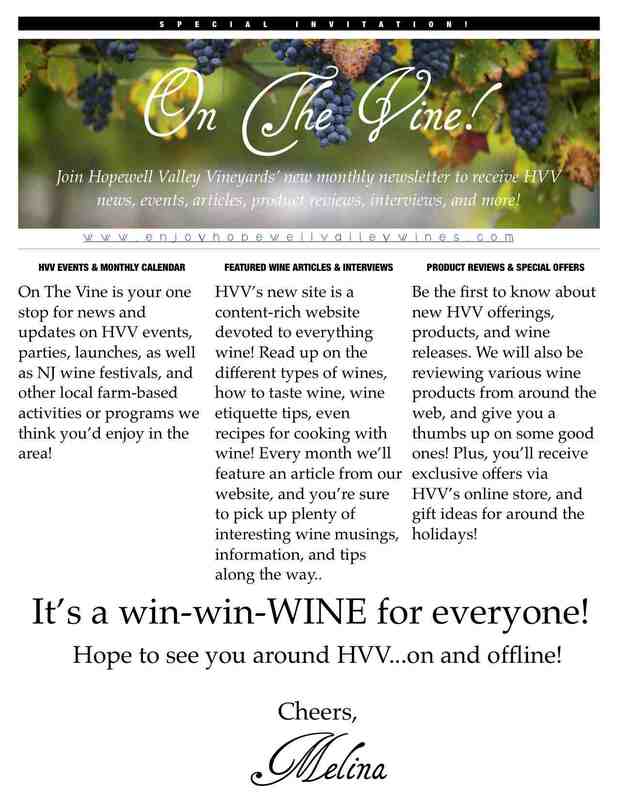 Hopewell Valley Vineyards launches new e-zine! Heard it through the grapevine? Well there you have it! Now you know where to easily find HVV news, events, photos, wine launches...in your INBOX! Share with On The Vine! Comments? Ideas? Feedback? Stories? I'd love to hear from you. Just fill in the form below! You can also submit your own PHOTOS that you'd like us to post for next month's E-Zine!